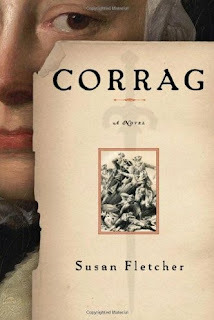 I have just finished reading 'Corrag' by Susan Fletcher and I can honestly say that I have never read a book like it. Previously published under the title of 'Witch Light', it is a story about a young woman who has witnessed a massacre in the Scottish highlands and to silence her, the authorities have accused her of being a witch. She tells her life-story to a visiting Irish political activist, Charles Leslie, who is secretly gathering evidence against newly crowned King William of Orange, the person behind the massacres. At first he is reviled by the tiny witch creature, but slowly he begins to see the young girl beneath the tangled hair and torn garments for what she really is: an honest, frail orphan, who has been victimised all her life for daring to be different. On one level this book tells the story of just one woman, but on another, it brilliantly describes the fate of hundreds of thousands of outspoken, clever women through the ages. Corrag comes from generations of 'witches', that is women who led hunted lives and who were executed for being different, having a knowledge of homoeopathy or a child out of wedlock . The term 'witch' is flung at her as a threat whenever someone takes against her on the flimsiest of pretexts. The ignorance of people was appalling and I only wonder that even more women were not branded by such a title, given the random nature of it. The book clearly sets out to illustrate the horrors experienced by so many women in the past and to tell their story. Indeed Corrag herself calls on Charles Leslie, and indeed to the reader too, to remember the dead and their stories, as a way of keeping their memories alive. Susan Fletcher certainly has achieved that goal in this novel. She uses a number of interesting narrative devices to seduce the reader. For example, clever use of first person narrative ensures that we develop an intimate relationship with the main characters. The story is told in a collection of monologues: Corrag's dialogue consists of a one-sided conversation with Charles Leslie, and his dialogue consists of a collection of letters that he writes home to his beloved wife Jane. It is a very simple yet ingenious way of learning what two different characters are feeling without slipping into third person narrative. Most of the time we are listening to Corrag tell her tale, with letters from Charles adding some variety and filling in the gaps. Interestingly, at the end of the book, this technique is reversed momentarily and it is Charles Leslie who speaks in a one-sided conversation and it is Corrag who writes a letter. The impact of this surprise is to add drama to the text and to suggest an element of freedom for the characters. Yet, while we are inside Corrag's head, our hearts pound wildly, as she fights-off drunken redcoats or sits in her cell awaiting execution. We are with her when she struggles to live by the oath she gave to her mother, never to love a man. She feels guilt when she begins to love the old mare who saves her life countless times and is the only true friend she has ever known. But it is when she sees the face of Alistair Macdonald that her fate is sealed and her passionate, secret love for him cannot be quelled. We are there, listening to every word that she speaks to Charles Leslie, the man who lost a daughter back in Ireland and begins to see in this tiny girl, resemblances of his wife and lost child. In a way, Charles becomes a surrogate father to Corrag, but to give specific examples as to why that is, would spoil the ending. There is great poetry in this novel, as the author uses the senses to describe every new place, character and object. Fletcher describes a wild, untamed Scottish landscape, where prose and poetry merge and co-exist. The reader is bombarded with a myriad of sensual description, in a way that reminds me of the great Romantic poets. Every sense is seduced, as the scenes come to life on the page. The synaesthetic imagery propels us back to 1692 and screams so loudly that we too feel the need to lift our skirts and flee. As one might expect, in a tale about a girl living out of doors, there is mud, heather and moss, but there is also moonlight, mists and waterfalls. 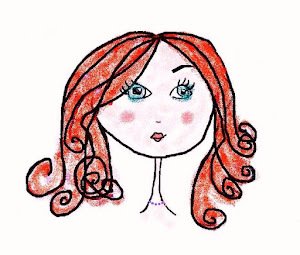 Corrag dwells in a world without kings and religion, because she has learned that she is not like everyone else and she does not fit in to that traditional world. Her world is the natural world, where she is ruled by her basic instincts of kindness, honesty and truth. As such, she has a wisdom that endears her to some, but cause others to fear her. The classical elements, earth, water, fire and air, are all central to the novel. Corrag is so in tune with her surroundings that she is never happier than when growing her herbs in the brown earth, or standing naked amid silvery mists of water and air. She was born in wintertime and so is a child of the snow. So many of the important events in the story occur while snow is falling, which is in stark contrast to the burned houses during the Glencoe massacre and, of course, the execution fire that awaits Corrag. Fletcher carefully balances all the classical elements in the text to emphasis the only 'witchcraft' or laws that Corrag adheres to, which are the laws of nature. Corrag belongs to the physical earth and knows its ways. With a mother who was cruelly taken from her too soon, she relies on the predictability of Mother Earth, its seasons and cycles, for emotional sustenance and protection. But apart from the clever language, poetry and narrative voice, this book is an excellent read. I urge you to read it and try it for yourself. It is a book like no other, and believe me, Corrag is one character worth knowing. But you must let her come close and whisper in your ear, her strange yet beautiful tale, of water, earth, fire and air. Then, when next you say 'witch', you will think of the home in the highlands, between the gap in the rocks, where the girl with the moths in her hair bathes in moonlight and yearns for snow. A stunning book which I've been haunted by since I read it over a year ago. A marvellous book, a bit slow to get into but then totally gripping. Wonderful description of living in the wild parts of England and Scotland. Yes it truly is haunting and life changing. Loved this book so much, I decided to read all her books. Currently readin The Silver Dark Sea and I'm equally captivated by Susan Fletcher's writing. Thanks for the comments. I must read her other books - Why didn't I think of that myself! I loved this book. I hope the others are just as good. Thanks Nua.